The new ANZ Local Government Digital Maturity Index (DMI) surveyed over 100 local government authorities in Australia and New Zealand about the extent to which they are digitising their internal processes and the delivery of their services. It also shows the extent to which LGAs are measuring the extent of their digitisation. The DMI shows that the use of metrics to gauge the extent of digital implementation in local government is in most cases not well advanced. Nearly three quarters (73 percent) of LGA’s measure website activity and most (59 percent) measure internal processing times for service requests. But only 27 percent measure the extent to which they are interacting digitally with local businesses, and less than a quarter (23 percent) measure their performance against their overall digital plans. Even social media presence and response, now a widely used medium for interacting with clients, is measured by less than half (44 percent) of Australian and New Zealand LGAs. 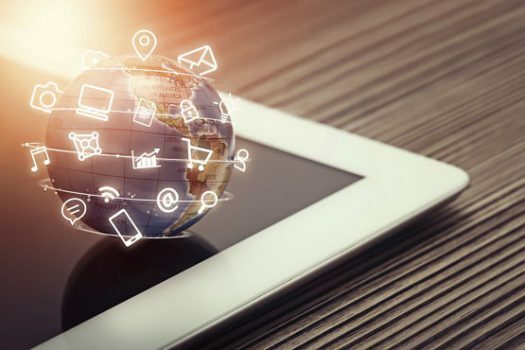 “There is simply not enough measurement of the effectiveness of digital technologies,” said the report’s lead author, Government News editor Graeme Philipson. “In fact, the data shows that almost all the lowest performers (as indicated by overall DMI score) are not measuring performance at all. The Digital Maturity Index is based on a survey of over 100 LGA is in Australia and New Zealand, enabling detailed analysis and comparison of the various components of digital transformation. It was researched by Government News and sponsored by Australian information and process governance software company Objective. Another sub-index covers overall digital strategy, while metrics and adherence to digital standards is also a sub-index. One series of questions in the survey asked about the extent to which LGAs the following the Australian Government’s 13-point Digital Service Standard. Although this standard is not targeted at local government, it is a useful guideline for planning, implementing and measuring the success of new digital services and processes. ‘Make it Secure’ – with appropriate legal privacy and security measures (40 percent). ‘Make it Accessible’ – regardless of users’ ability and environment (34 percent). ‘Don’t Forget Non-Digital’ – so other channels are still available without confusion (38 percent). Overall, the use of metrics and standards is the least advanced the four components of the Digital Maturity Index. “The use of metrics that reflect the current state of play and clearly justify the case for change can help build support for digitisation,” said Mr Philipson. “Regular progress updates against these same metrics can demonstrate improvements and benefits as they are realised. Government News will publish more findings from the DMI benchmarking survey over the coming weeks. Download the report here. More than 100 councils have responded so far.